Full-suspension mountain bike. High-quality framecomponents, 21-inch frame. Fuji Mountain bike in great condition. 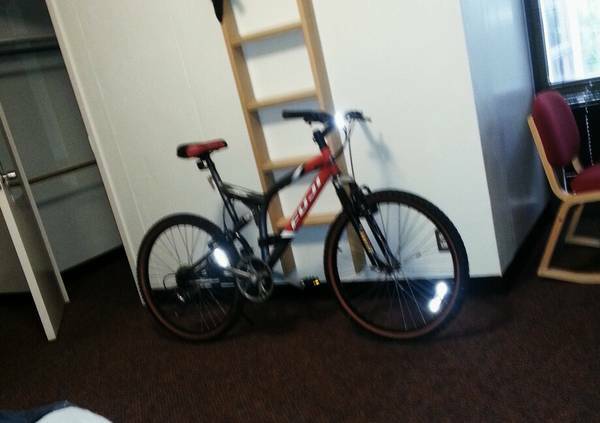 Has been sitting in my garage for months now, so Id like to clear up some space.Tires just need to be inflated, other than that its in perfect working condition.Also have a helmet and a camelbak if interested.